1. It’s Fun (duh)! There aren’t many sports that every member of the family can participate in at the same time. When kids go skiing, they let loose, they go fast, they get to ride chairlifts, and when the day is done, there are still snowballs to be lobbed. Moms and dads who grew up skiing are able to share in their love of the sport at a very early age. Skiing is one of the rare cases where kids as young as 3 can get on the lift and ski down a run. Tree trails designed just for kids make the adventure extra fun, as does time in the terrain parks, and even just riding the magic carpet. Added bonus: all that skiing helps little ones to sleep like champs. 2. A Lifetime Skill: Skiing is one of those things you learn to do and never forget –like riding a bike. Skiing is something people can do at 3, 13, 30 and 103. The gear may change, but the fundamentals do not. Like golf, skiing is a sport that they can access throughout their lives, and most anywhere in the world. It brings people to places and perspectives they might not otherwise see. I remember the first time we brought our kids to the top of Snowmass mountain and they had a chance to see the world from that perspective. As much as it awes me to this day, I can hardly appreciate what that kind of exposure teaches a young child. 3. Bonding Time: It’s easy to disconnect from the outside world on a ski trip. Out here, you truly can get away from it all. When you are on the hill with your family, it’s all about sticking together, keeping an eye on one another and having fun. And there’s no better time to check in with the kids than on a chairlift. No one wants to take off their gloves to grab their phone, so no one is distracted and you can actually communicate. It’s just you and the kids shootin’ the breeze. The average chairlift ride lasts for about six minutes. Now multiply that by 10 runs and you’ve gotten an hour’s worth of QT with the kids. 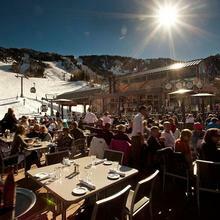 Than doesn’t even include après ski or hanging out in the hot tub! 4. Teaches Kids Winter is Fun: In most parts of the United States a major snowstorm is a reason to panic. Buy milk! Buy bread! Fill the tub with water! 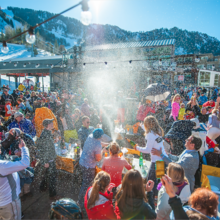 But at ski resorts around the world, a snowstorm is a reason to celebrate. 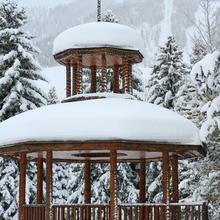 Snow at mountain resorts means that the fun will only be better and last longer. 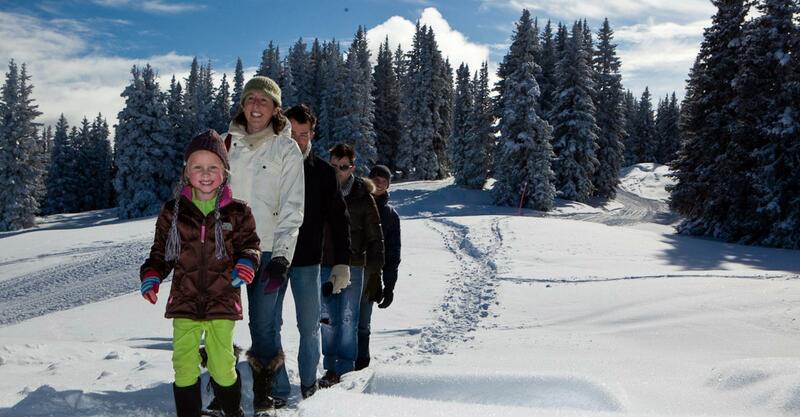 Kids get a new outlook at the miracles of the winter season -- skiing being just one of them. 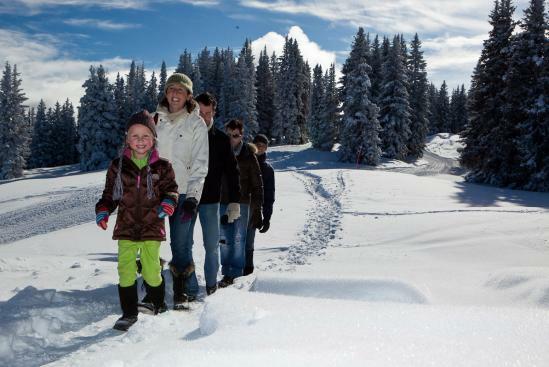 Sledding, snowmen, cross country -- the snow is for playing in! Sometimes a good storm jut gives you and the kids a reason to stay inside, to curl up with some hot chocolate near a fire. And who can deny the beauty of snow covered mountains? 5. When You Fall, You Get Back Up: Skiing often gets kids out of their comfort zones. They can’t control the weather, and must learn how to deal with varying conditions. It helps with coordination, balance and endurance. And as every child improves, skiing only becomes more fun. Sometimes there are tears, but at the end of the day, skiing leaves kids with feeling of accomplishment, confidence and increased self-esteem. Most importantly, skiing teaches kids that when you fall, you have to pick yourself back up. It teaches resiliency, trust and the knowing that they can get through or down anything when they really believe in themselves.